This is probably the most interesting Initial D merchandise we came across. That's right, the package reads 頭文字Dプリントクッキー "Initial D Print Cookies" Wait.. what?! The package contains 12 of these cookies, with each one having a different label that you can supposedly collect. It also includes a PROJECT.D sticker in the packaging. 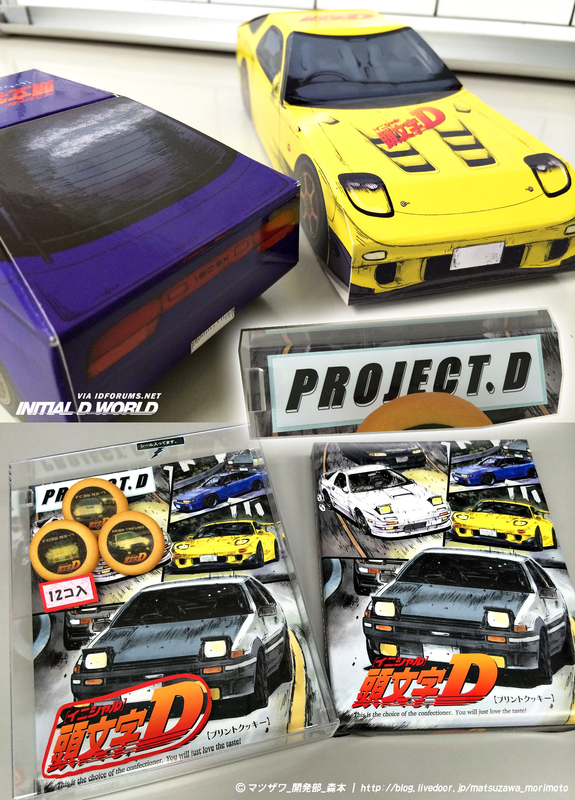 Currently selling for 2,160 Yen ($18.70), the Initial D set version also comes with these fold-up paper models (86, Sil-80 or FD) I guess the idea is you can eat while making paper craft AE86. That's brilliant. Image size reduced, original size: 1280 x 1780. Click here to view the image in its original dimension.